The late 1800’s was an exciting time when spirit and our crude understandings of nature and science coalesced giving birth to today’s modern medicine. Tobacco smoke was blown into sore ears, stones were cast off after being rubbed against a wart, and wolf bane tea was drunk by many. Ritualistic incantations were prayerfully administered while practitioners received prior warning to never reveal the secretive healing words. Beyond the naturopathic qualities of herbs, minerals and other worldly elements, it’s hard to imagine the medicinal benefit found in fanciful words and physical ceremony. But somehow such things healed people ….or so we’ve heard. At aged 13, in 1891, young Flora Jenkins penned the above healing recitations. She likely received and protected the cookbook of words in a same manner as had been received by many others before. Was this something learned in school, was it part of a strict religious belief, or did it reflect a childhood fad passed on in some rite of passage? Enjoy the reading and know that Flora was born 10 Jan 1877 to Julius and Mary Pless Jenkins. Mary was the daughter of Solomon and Elizabeth Furr Pless and a sister to my great grandmother Julia Pless. On 19 Jan 1892, Flora married Michael James Love, the son of Michael G. and Phoebe Love. 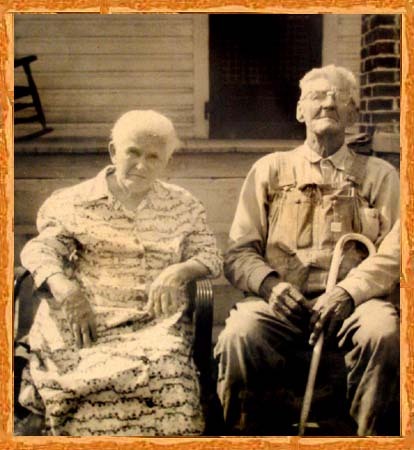 They moved to McKinney Texas in hopes of growing cotton and big yellow onions before returning to Stanly County where they lived out their later years. Michael J. and Flora Love are buried at Love’s Grove UMC. This entry was posted in Love, Uncategorized on August 12, 2015 by geothos.